Assembly Bill 249 (AB 249) and Senate Bill 233 (SB 233) require health insurance plans to provide a 12-month supply of birth control to its participants. This expands the prior coverage, which only provided a standard 30 to 90-day supply of contraceptives. Additionally, once a plan participant reaches the plan’s deductible, the plan will cover 100% of the cost of voluntary male sterilizations. If the person seeking birth control has an HMO, he or she will not have to pay a copay for male sterilizations or contraceptives. Moreover, the health insurance company cannot make plan participants wait for prior authorization in order to gain access to the benefits under its specific plan.While under the prior administration’s Affordable Care Act (ACA), commonly referred to as ObamaCare, generic forms of birth control were covered but brand names were not, AB 249 and SB 233 will cover all forms of contraceptives. One important and controversial aspect of the bills is that in its expansion of birth control coverage, it would remove the religious objection exception to covering contraceptives. Previously, the law allowed religious organizations as well as businesses to opt out of paying for birth control coverage for employees. That being said, both bills have provisions that provide contraceptive counseling services as well as education in addition to voluntary sterilization coverage for males and females. Proponents of the law claim that the 12-month coverage of birth control would prevent surprise pregnancies. SB 233 goes beyond its counterpart from Nevada’s House including preventative care such as mammograms, certain vaccinations and disease screenings, as well as domestic violence counseling. The coverage in the bills was intended to mimic the coverage under ACA, which the current administration seeks to repeal and replace. None of the bills contain language requiring insurers to cover abortions. They do, however, contain language covering emergency contraception pills. Opponents of the law state that it violates employers’ freedom of religion. State legislators, regulators, and health insurers rushed to react to the current administration’s moves to dismantle parts of ACA, according to a Bloomberg news report. Specifically, health insurers have been reconsidering whether or not to sell their healthcare plans under the law. This wait-and-see approach has raised concerns as the possibility of some parts of the nation being left with fewer plans competing for customers’ business. Other insurers claim that they must increase premium rates by double-digit percentages in order to make up for lost government subsidies. The National Association of Insurance Commissioners claims that an end to the government subsidy payments will cost consumers at least $1 billion and will boost health insurance premiums 12 to 15%, on average. With the ever-changing healthcare law, it is important to understand what your coverage is and what your policy limits are, in the event you become injured. A Nevada personal injury can be devastating. Beyond physical and emotional injuries, there is also financial pressure that follows. This is even more true and complex in the current legal landscape, with healthcare coverage changing across the nation. Do not try to handle these issues on your own. 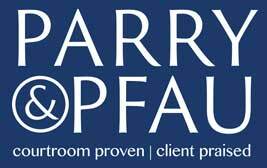 The skilled personal injury lawyers at Parry & Pfau have been representing the injured across the state of Nevada for years. Click here today to schedule your initial consultation. Older PostIs it Legal to Ride a Horse on the Road?